In part 1 of this look at Alzheimer&apos;s disease (AD), I introduced the concept of Alzheimer&apos;s as a metabolic condition. The primary driver of the disease pathology, and what&apos;s mainly responsible for the memory loss, cognitive impairment, personality changes and other signs and symptoms, is that neurons in affected regions of the brain become unable to effectively metabolize glucose. Since, under normal circumstances, glucose is the brain&apos;s primary fuel, when neurons lose the ability to metabolize it, they essentially starve. And remember, the brain needs a large and constant supply of energy — even when you&apos;re just lying around watching TV or sleeping, when you think your brain isn&apos;t doing much, it&apos;s still using lots of energy. I left off in part 1 emphasizing that the energy shortage in the brain is specific to glucose, and proposing that it would be possible to nourish these starving cells if there were some type of alternative fuel they could use. One of the bright spots in the darkness that is Alzheimer&apos;s disease is that these struggling, atrophied neurons can still metabolize ketones! "When glucose utilization is impaired in neurodegenerative diseases, transport of KBs [ketone bodies] into the brain appears to be less affected and their utilization for energy by the brain mitochondria is not impeded by such factors as local insulin resistance that, by interfering with the neuronal fuel supply, may contribute to the progressive nerve cell damage observed in Alzheimer&apos;s disease" (1). Under certain circumstances, ketones can provide as much as 60% of the brain&apos;s energy (1). It may be that such a large portion of the brain&apos;s energy needs can only be met by ketones when ketone levels are relatively high — higher, perhaps, than most people would be able to achieve through a ketogenic diet alone. But while the brain&apos;s use of glucose is compromised, it&apos;s not completely destroyed. Some glucose is still metabolized, so even if ketones only contribute a small amount of available energy, it&apos;s still a boost to cognitive function. Uptake of ketones into the brain is directly proportional to the blood concentration of beta-hydroxybutyrate (βOHB) and acetoacetate: the higher the ketones, the more the brain will take them in. During a prolonged fast, serum βOHB levels can reach 5-7 mmol/L (1). At a βOHB concentration of 1.5 mM, ketones supply about 18% of the brain&apos;s energy; 60% is achievable at 6 mM (2). However, people vary in the level of ketones they might respond to. Some people might notice improved cognition with relatively low ketones, while others will need to get their ketones elevated higher in order to experience a benefit for the brain. Elevated ketones clearly reduce the amount of glucose the brain requires. It would be difficult for an older individual to achieve a ketone level of 6 mM with a ketogenic diet alone, but a KD in conjunction with exogenous ketones or additional MCT oil could provide the brain with a substantial fuel supply. Fortunately, we don&apos;t have to rely solely on mouse models and petri dish studies to assess whether ketones can be beneficial for people with AD or its precursor, mild cognitive impairment (MCI), although that evidence exists, and it&apos;s promising (3). Several studies in human subjects with AD have shown that elevated ketones do lead to improved cognition. Many such studies have employed exogenous ketones, but some have used medium-chain triglyceride (MCT) oil or a ketogenic diet, and there&apos;s evidence that all three approaches can be effective. "These findings indicate that very low carbohydrate consumption, even in the short-term, can improve memory function in older adults with increased risk for Alzheimer&apos;s disease. While this effect may be attributable in part to correction of hyperinsulinemia, other mechanisms associated with ketosis such as reduced inflammation and enhanced energy metabolism also may have contributed to improved neurocognitive function" (4). As I explained in part 1, carriers of the E4 gene are likely the least suited to the modern high-carb diet. With this in mind, it may be that elevating their ketone levels via one-time MCT administration is not sufficient to improve cognition in an acute setting. We&apos;ll look at MCT oil and exogenous ketones in more detail in a bit. Before leaving this study, though, it&apos;s important to note that the MCT treatment resulted in a mean βOHB level of only 0.5 mmol/L. This isn&apos;t all that high. According to well-known low carb researchers Stephen Phinney and Jeff Volek, 0.5 mM is the very bottom of the cutoff for nutritional ketosis (0.5-5.0 mM) (6), so it&apos;s possible that subjects would have had even better improvement in cognitive assessments if their ketone levels were higher. A separate study of an MCT oil preparation had similar but more promising findings. In subjects with mild-to-moderate Alzheimer&apos;s, compared to placebo, daily consumption of the MCTs for 90 days resulted in significant improvements in multiple cognitive assessments, with improvements being greatest in non-ApoE4s who were compliant with dosing (7). ApoE4 gene carriers showed no significant improvements. A major flaw of this study is that subjects were advised to mix the packets they were given (either the MCT or placebo) in 8 ounces of water, juice or milk. As if that weren&apos;t bad enough, to increase compliance and palatability, they were later recommended to mix them into Ensure™, which is notoriously loaded with sugar! Taking this into account, it&apos;s heartening they showed any cognitive improvement at all! This is a major flaw of almost all studies involving MCTs and exogenous ketones, actually: these compounds are typically added to subjects&apos; habitual diets, which are usually a standard Western or American diet, high in refined carbs and omega-6-rich seed oils. That we see any improvement solely from slightly elevated ketones is encouraging. It shouldn&apos;t surprise us that some people with Alzheimer&apos;s don&apos;t show improvement with no other intervention besides elevated ketones; what should surprise us is that so many do. It&apos;s true that most of the studies looking at MCTs for Alzheimer&apos;s show more favorable results for non-ApoE4s than for E4s. People with the E4 gene, however, do experience improved cognition under certain circumstances. The most encouraging example of this was Mr. Steve Newport, husband of Mary Newport, MD, author of The Coconut Oil and Low-Carb Solution for Alzheimer&apos;s, Parkinson&apos;s, and Other Diseases (8). Mr. Newport was an ApoE4 carrier, and he experienced rapid and dramatic improvements in several aspects of cognitive function and performance of tasks for everyday living after being treated first with coconut oil and later with a ketone ester (9). When Dr. Newport first became aware of the research on ketones for brain health and cognitive function, she added coconut oil to her husband&apos;s morning oatmeal. With just that small change — adding coconut oil to a high-carbohydrate diet-she noticed enough of an improvement to continue, increase the dose over time, and eventually progress to using a ketone ester, still in the context of a relatively high-carb diet. The ketone ester allowed Mr. Newport to experience βOHB levels as high as 7.0 mM (9). The dramatic elevation of ketones resulted in him being able to perform tasks he had been unable to perform unaided for several months, such as shaving and showering. As improvements continued, he was able to perform more complex tasks, such as yardwork and other household chores, as well as "spontaneously discussing events that occurred up to a week earlier." Abstract thinking and his sense of humor returned, and he self-reported feeling well, having more energy, feeling happier, and finding it "easier to do things"-all of which Dr. Newport&apos;s observations corroborated (9). Recall from part 1 that people with the ApoE4 gene are believed to be the least suited for the modern high-carb diet. If this is true, then it&apos;s no surprise that most E4 carriers show little to no improvement from interventions that elevate ketones a single time in a laboratory, or even from interventions that elevate ketones for an extended period of time but do nothing else, especially when this happens in the context of the usual high-carb diet. If the E4 gene is a product of the hunter-gatherer environment, then elevated ketones, by themselves, might not be enough to have a noticeable impact on cognition in E4s with Alzheimer&apos;s. It may be that E4s have to adopt several other changes that would help restore their metabolism and hormonal milieu to something more befitting them, including better quality and quantity of sleep, stress reduction, increased physical activity, fasting, and repletion of vitamins and minerals they may be deficient in. Individuals with the ApoE4 gene are having remarkable success using a mild ketogenic diet and multifactorial lifestyle intervention protocol created by Dale Bredesen, MD, and outlined in his book, The End of Alzheimer&apos;s (11). Raising ketone levels via coconut oil, MCT oil, or exogenous ketones can be a gift to those suffering from Alzheimer&apos;s. Elevated ketones have clearly been shown to result in improved cognition; however, this is a short-term fix. It&apos;s putting a band-aid on a sucking chest wound. Ketones are metabolized fairly rapidly; once they&apos;re gone from the bloodstream, so are their beneficial effects. For elderly people, or people with very advanced and severe dementia, exogenous ketones can still have a powerful acute effect. But contrast this with a ketogenic diet, which would have someone generating endogenous ketones all the time. Not only would a ketogenic diet help someone have elevated ketones around the clock, instead of only after using exogenous ketones, but the KD also induces a host of other effects that exogenous ketones can&apos;t mimic. 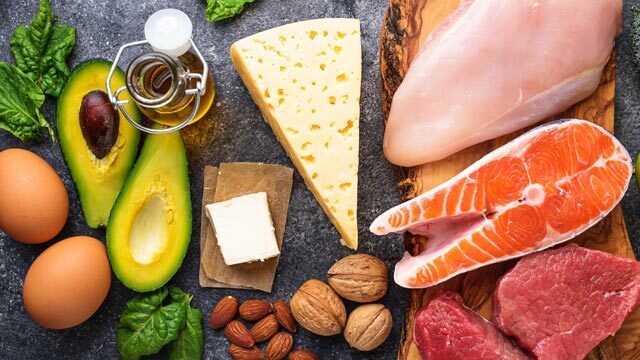 Ketogenic diets are anti-inflammatory, they reduce glucose and insulin levels, reduce formation of reactive oxygen species ("free radicals"), may help increase mitochondrial biogenesis (making new mitochondria), enhance glutathione levels in the brain, and more (12,13,14). By providing βOHB to fuel languishing neurons, exogenous ketones help make up for the glucose fuel deficit, and we shouldn&apos;t downplay the significance of this, but they don&apos;t result in any of the other long-term benefits of the KD. For the purpose of improving cognitive function in AD, elevating ketones is probably the most important step, but it&apos;s not the only one. The diet has several effects that can&apos;t be mimicked solely by exogenous ketones or ketones induced via MCT oil. It would be a major blockbuster, but as of yet, there is no "ketogenic diet in a pill" (14). Bottom line: exogenous ketones are an adjunct to, not a substitute for, a ketogenic diet. But for those of very advanced age or with severe impairment, who can&apos;t or won&apos;t change their diet, exogenous ketones are worth trying. 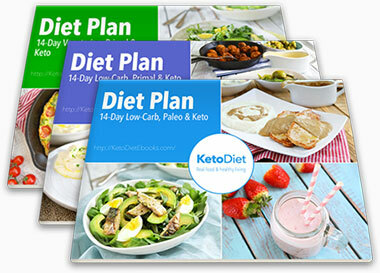 In order to help a loved one implement a ketogenic diet, you have to have complete control over their diet. It will be virtually impossible if the afflicted individual lives in a care facility where their food is provided for them. 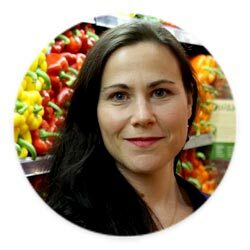 In situations where supportive family members and friends can help with food shopping and meal preparation, the younger someone is, and the more mild their degree of cognitive impairment, the more likely they are to experience improvements from a ketogenic diet, and the easier it will be to implement one. The older an individual, and the more severe their impairment, the more difficult it will be to change their diet. People with advanced Alzheimer&apos;s may be belligerent and uncooperative, making it almost impossible to have them adhere to a KD. Big changes in diet can be difficult enough when we want to change; forcing a change upon someone who does not want it is an exercise in frustration and futility. The increase in fat, and, for some people, protein, might take some getting used to for someone accustomed to living on cereal, pasta, bread, and fruit. In order to get the best benefits from a KD, older people may need digestive support in the form of supplemental HCl (betaine HCl), ox bile, or digestive enzymes, all of which are available online or at health food stores. For those in this category, be sure they&apos;re getting enough calories. Protein should not be restricted in the underweight, and fasting is not recommended. 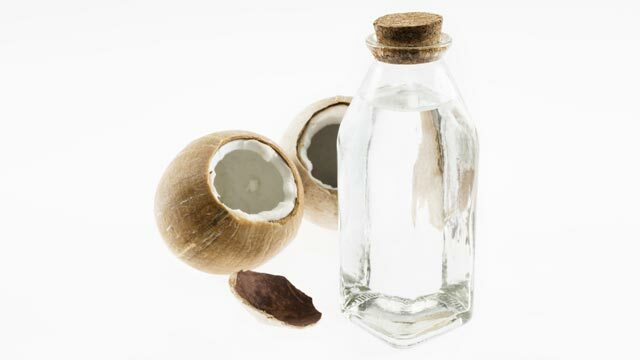 Higher ketones can be achieved with liberal intake of coconut or MCT oil, rather than with fasting or limiting protein. 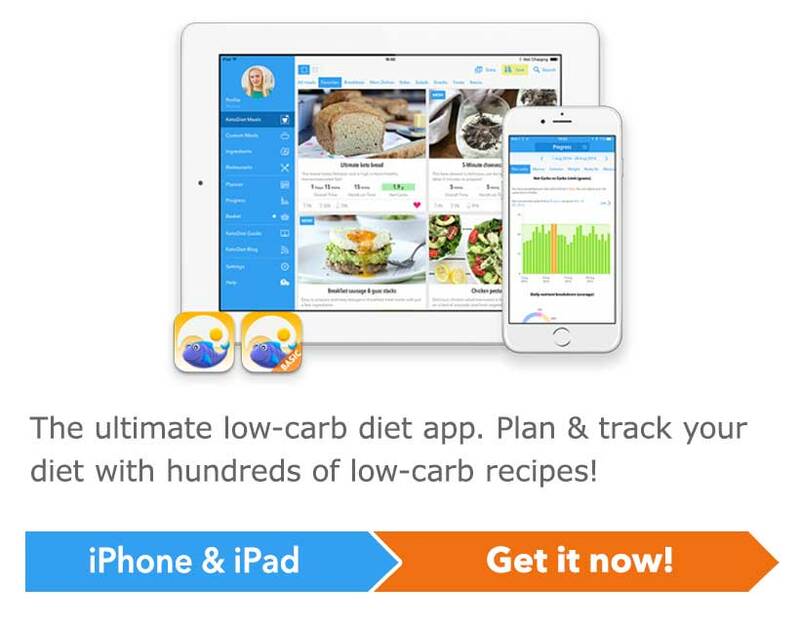 People of all ages can benefit from having a "diet buddy" - someone else in the same household who will follow a ketogenic diet along with them, or perhaps do a slightly more liberal variation of a low-carb diet. Don&apos;t underestimate the importance of emotional support and solidarity; this can make adhering to the diet easier. Considering the myriad issues these ways of eating are beneficial for, the whole family can be involved. Even for those with no known health issues and who are not overweight, no one&apos;s health ever got worse from eliminating refined sugar and processed food from their diet. 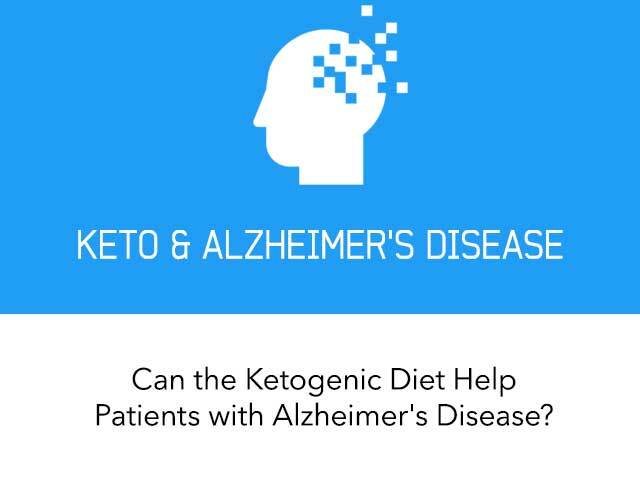 The ketogenic diet is not a slam dunk for Alzheimer&apos;s. There are still unanswered questions, and much research remains to be done. But considering there are no effective pharmaceuticals and no effective alternatives for people living with AD, keto may be worth trying. The brain energy deficit in Alzheimer&apos;s "can at least in part be bypassed by ketogenic treatments. A core element of this interpretation is that brain cells and/or networks that were previously dysfunctional can start to function more normally again once they are provided with more fuel, i.e., they were starving or exhausting but not dead; otherwise this cognitive improvement would not be possible" (15). If the primary pathological feature of Alzheimer&apos;s disease is reduced glucose usage in the brain, then the logical first step is to provide the brain with an alternative fuel, in the form of ketones. This is great to hear! Your mother is lucky to have you looking out for her. I am glad to hear that the MCT oil has helped your mother. My husband vascular dementia. Would you please tell me what brand of oil you purchased and how much a day are you giving her. I don't think I can get my husband on a low carb diet. 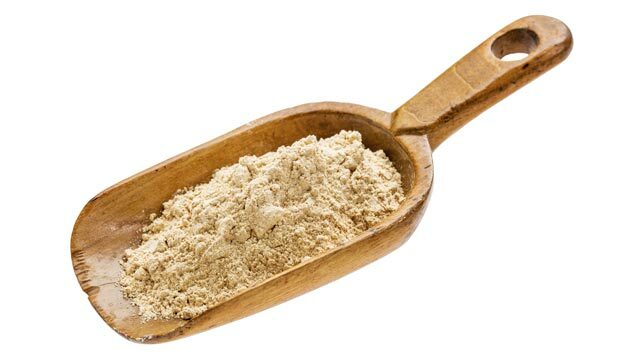 Instead of Ensure, use an organic, grass fed whey protein mixed in pure water (no fluoride or chlorine).